Tips to be fresh and always be <em>amoy baby</em> this summer, straight from the expert. Yes, summer is here. And with that, it means a couple of beach getaways, numerous out-of-town escapes, more late night adventures and of course, halo-halo stands sprouting like wild mushrooms everywhere, and other exciting outdoor shenanigans. But summer doesn’t necessarily means it’s all fun, it also brings one more thing to its plate. The blistering summer heat, yung init na abot hanggang singit, and that’s no fun at all. Intensified rays of from the sun gives us a scorching environment that makes us sweat more and tend to have this sticky feeling due to humidity, that in a bad case, results to unpleasant body odor, and that’s also not funny at all. Good for us Pinoys, we’re more conscious about our hygiene. We take a bath, apply necessary grooming products and to lace it all up, put on a perfume. But how sure are we that we’re wearing the right scent for us? Thus, we asked JP Paglinawan, a Senior Product Manager from Luxasia Philippines to give us some helpful advice on how to wear perfumes properly, especially this summer season. “There are two most common mistakes when it comes to fragrance; the first is that most Filipinos instantly react to the first spray of the fragrance. Give it a chance and let the alcohol evaporate as alcohol makes the scent appear strong. Second is to always try it on your skin. Let the scent develop and see how it suits you.” JP explains. “Also, what might smell good on someone else may not smell good on you, too” He added. 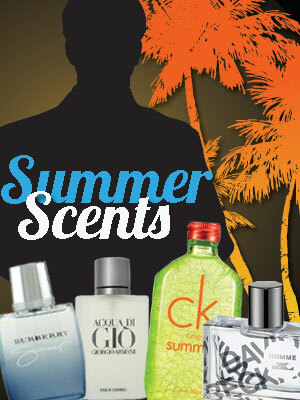 Here are more tips for you to be the best smelling dude this summer. Read on! How do you choose a fragrance for yourself? Always spray a fragrance on yourself and let the scent develop. And remember our sensitivity to odor varies. What might be good on some people may not always be good on us too. Most importantly, know what character of a fragrance suits you best. How do you properly store fragrance? Whether the perfume has already been opened or not, humidity, light and heat are its worse enemies. When your perfume is already opened, store it in a cool place. Avoid contact with the air so don’t keep the perfume exposed. Always cover using a spray cap or keeping it in its closed case. What’s the difference between cologne, eau de toilette, and eau de parfum? Eau de Parfum is made of 7 percent to 30 percent of concentrate and oils, ideal to leave a remarkable trail. Eau de Toilette is made of 3 percent to 20 percent of concentrate and oils, it is fresher than the EDP, richer with top notes and has a quicker diffusion. The Eau de Cologne is made of 4 percent of concentrate and oils, it is fresh, natural and light but fleeting. Ideally to be sprayed throughout the day the preserve the scent on yourself. Apply perfume on your pulse points the nape, chest, belly button, wrist, inside the elbows, and behind the knees. This can significantly make your fragrance last the whole day. You can spray on your clothes but avoid using a machine gun style of spraying. The scent must not precede you but it should create a trail behind you. For women, one or two drops of the scent on a comb or brush helps diffuse your perfume better. What products can you recommend for summer and different occasions? For summer, load up with the Summer limited editions from Burberry, Calvin Klein and Issey Miyake. For a casual date, you want to smell fresh and laid back but taken seriously, put on Homme by David Beckham or Paul Smith Optimistic. For formal events try Davidoff Champion Energy and Ferragamo Attimo Pour Homme. For everyday, a light and woody scent like Burberry or Classic L'Eau D' Issey Por Homme, would be perfect.